SUPER STABLE & RIGID – The 6″ thickness combined with the double PVC layer construction and the high pressure applied (15 psi) makes this board super stable and rigid. The all-around design is great for all skill levels and conditions providing good balance between stability, maneuverability and speed. PORTABLE AND LIGHT – It is 10’x30″x6″ inflated and only 1′ foot in diameter and 33″ wide when rolled up, also it’s only 22 lbs weight. HIGHLY DURABLE – Built with a double military-grade PVC layer outside, the Supflex is very durable and resistant, you can run it into the rocks or drive over it with your vehicle. 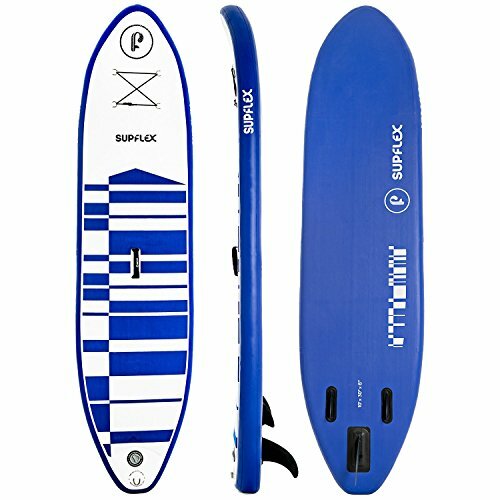 The 10′ All-Around Supflex iSUP is super stable and easy to ride. 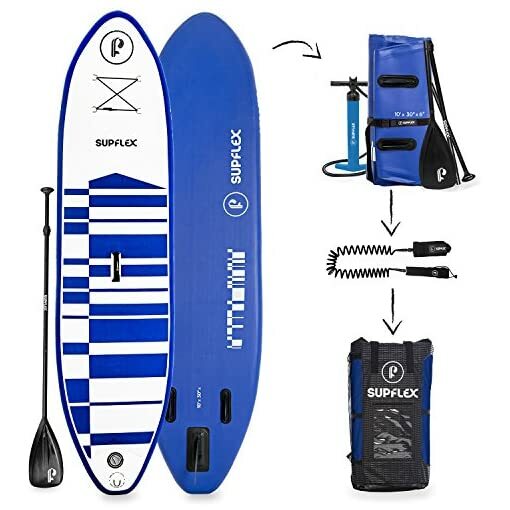 The All-around design provides good balance between stability, maneuverability and speed, which make this paddleboard the perfect choice for beginners and casual riders. SUPER STABLE AND RIGID– Riding a Supflex will make you feel like you are on a hard board without compromising stability or performance. The high pressure capacity combined with our 6″ thickness and 30″ wide makes Supflex extremely stable and easy to ride. The 6″ thickness makes it much more stable and stiffer versus the typically 4″ thick models. 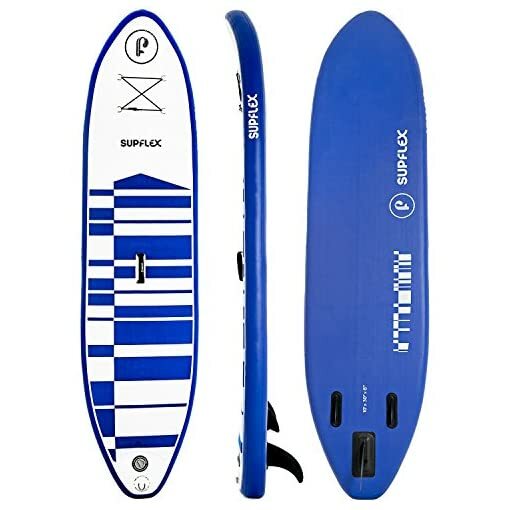 DURABLE AND RESISTANT– The board is constructed with reinforced composite drop stitch core inside, providing a highly tensile, rigid core which holds pressure beyond 15 psi. Outside there is a double military-grade PVC layer, making it substantially stronger than a rigid board and virtually indestructible, you can run with a car over it! 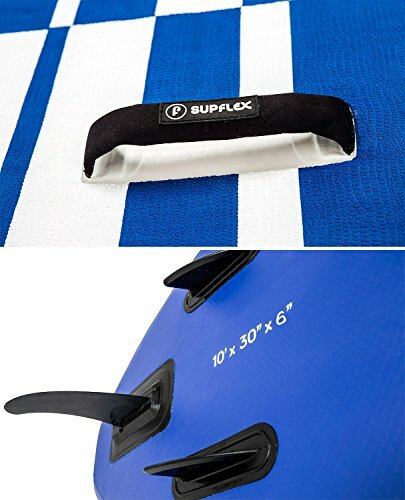 COMPACT WHEN DEFLATED– When deflated, the board can be rolled up to a small size roll, allowing you to carry it in the trunk of your car and easily store in a closet. In addition, a backpack is included so you can easily carry your board to all your adventures. 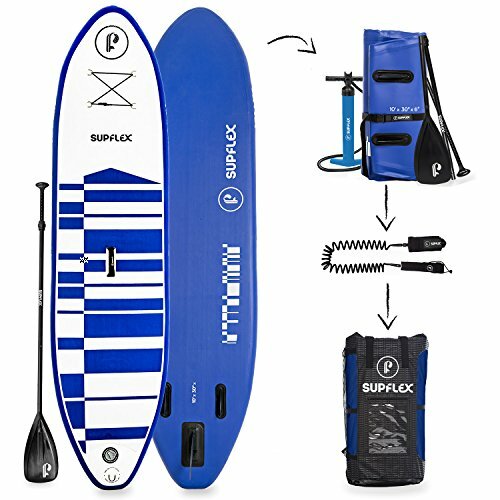 3-piece adjustable FLOATING aluminum paddle, great for transport and can be adjusted to rider height. Don’t sink in the water! 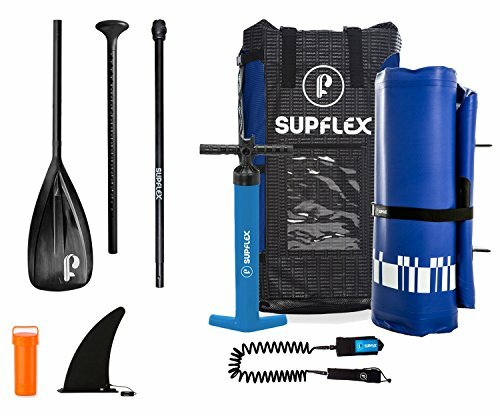 COMPLETE iSUP ACCESSORY BUNDLE – Includes dual action high pressure hand pump, removable fin, 3-piece adjustable aluminum paddle, carry back pack & coiled Leash. 30 DAY MONEY BACK GUARANTEE + 2 YEAR WARRANTY ON MATERIAL – No risk return within 30 days. We offer only the highest quality products and stand behind them 100%.